Ansible knows the hosts and hostgroups from a host file by default it is located as /etc/ansible/hosts. One can find many default examples of hosts and hostgroups, some part of it has been pasted below. So our server inventory is something like below. Lets assume a scenario, we have to inatall 3 new Apache httpd servers with help of ansible. 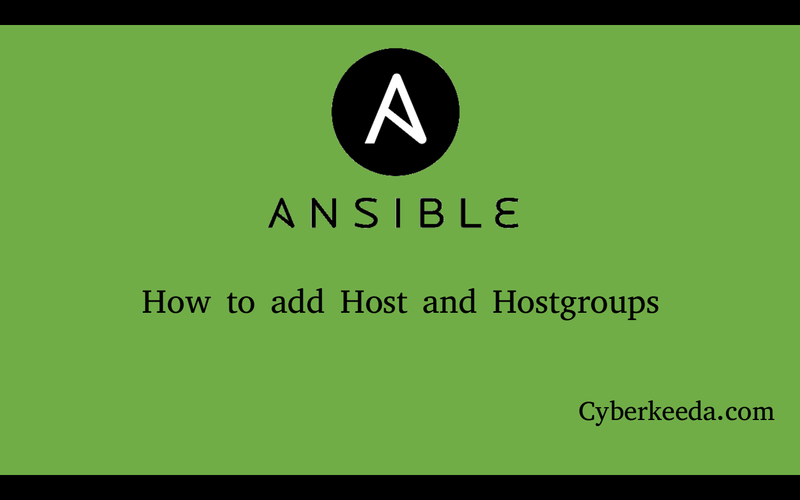 For thios first requirement is to make an entry of hostgroup into ansible’s host file. Hence we will create a hostgroup named as webservers and append all above three servers into it. You can use any hostgroup name as per your requirement, choose wisely as going further you will call this hostgroup and all hosts will be considered within it. Then append all server ip or hostname after hostgroup. Final entry will look like below one. Have a look on the video too.